Especially external interfaces might occur several times within the building block hierarchically - how can I avoid to document or specify them at several locations redundantly? See the diagram below - the interface X (marked with red circles) occurs three times in the hypothetical system shown there. At all other occurrences (especially in the context view), add references to the detailed description. 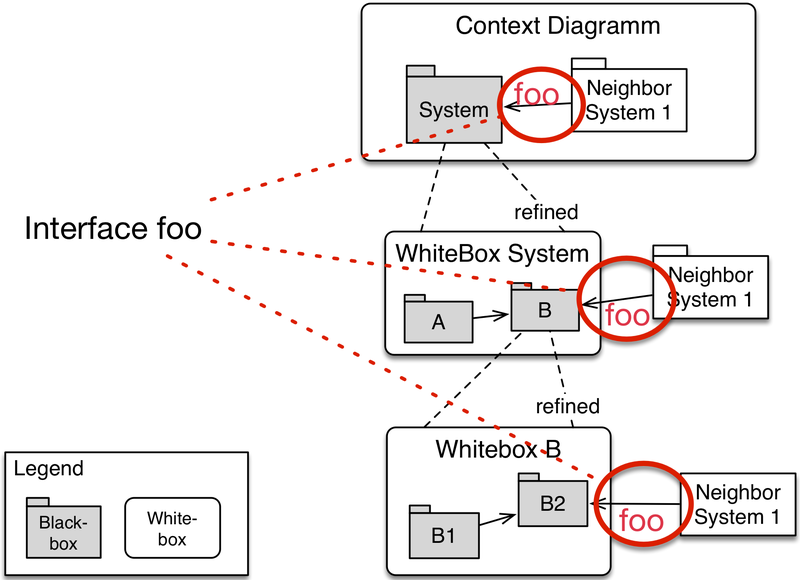 In the scenario above, such references should occur in the context and the level-1 whitebox.